Conveyor Components releases the model VA and VAX bucket elevator alignment control to its line of conveyor controls and accessories. The model VA and VAX are designed to indicate when the head or boot section of a bucket elevator drifts too far out of alignment. They can be used to signal a problem or simply shut down the bucket elevator leg. This control device has a sequential two-pole double-break microswitch rated for 20 amps at 120, 240, or 480 VAC. The switch actuation is field adjustable with a simple 3/32 hex wrench adjustment. The metal roller is sturdy and bi-directional, and designed to survive in difficult environments. The housing is rugged cast aluminum with a specially designed non-accumulating pocket. 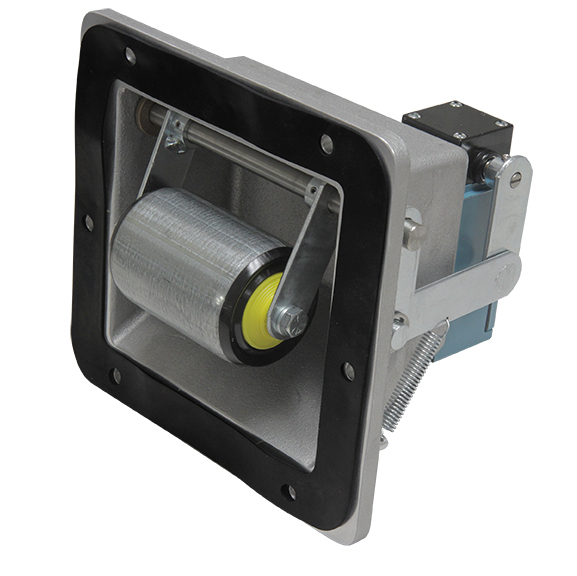 The model VA microswitch is rated for NEMA 4 weatherproof, or NEMA 7/9 explosion proof (model VA-X). Epoxy powder coating or polyester powder coating is an option.